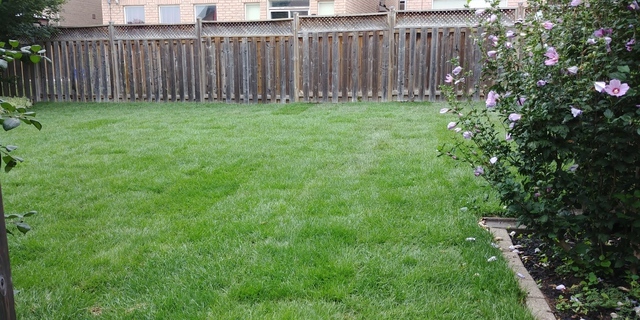 My lawn was a disaster with weeds and due to the dry summer we had early in the season, I had given up on maintaining it. John came to look and gave me a very reasonable quote for an Irrigation install for front and back, and a complete reno of my lawn in my backyard. The Green Valley team is efficient and very professional. They came on time, worked well together, and completed the job in a day. They even repaired some parts of my front yard and you couldn't even tell they had cut lines in the front lawn to install the irrigation hoses and sprinklers. They made sure everything was clean before they left. John showed my son and I how to use the sprinkler timer control panel that was installed in my garage and thoroughly explained the different settings and functions. Great customer service! I would definitely recommend Green Valley Irrigation Ltd.